Today’s fragrance: hold on tight. “But all of you who held fast to the LORD your God are still alive today”. A common thing almost everyone does is to find something firm to hold on to in times of need. Have you ever held onto a small tree upon tripping and by the time you realized you and that tree were comfortably lying in a gutter you were trying hard to escape falling into? Do take note that not everything looking good on its feet actually looks good inside, appearance can be deceptive so never hold unto anything tighter than you are holding on to God. So if we really want to live long we must hold onto something strong enough to hold us in place when in trouble, or someone we will always find salvation with upon extending our hands for help. Just in case you’ve been looking for one, look no further because all you need is found in God, He is all in one and all power and Might belongs to Him. 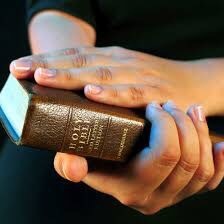 Reading Deuteronomy 4:1-3 we are taught how to hold tightly on to God to ensure that we live. We are asked to follow the decrees of God from every letter to the last dot found in the Holy book (Bible) leaving nothing out or adding up to the original content by way of modifying it to suit our lifestyle. Most of us Christians are guilty of selective obedience, we choose scriptures that favor us than the ones that asks us to endure or even love others as ourselves, to forgive those who offend us and even pray for our enemies. We are being awakened today that in order to take possession of the land or things God is giving to us, we must listen and follow all instructions found in His word. Now this cannot be done without grace, that means surrendering to Him, and letting Him take charge. Holding fast to God means trusting God enough to hand over everything to Him, and watch Him direct as you humbly follow His leadings. Thank you for the gift of life Lord, please forgive my sins Father and help me follow every word you speak to me no matter how difficult or uncomfortable it may seem, for I know your words are always true. Grant me the grace to continually trust in you alone.Thank you Lord for making your ears attent unto my prayer In Jesus’ name have I prayed, Amen. ← Today’s fragrance : You are worth more. Help me Lord this day, not to be selective in obeying ur words but rather humble and submit to your lead in Jesus name. Hello, I just wanted to let you know that I have nominated you for the Blogger Recognition award. You don’t have to accept it. It’s just a way to tell you that I do love your blog. Thank you dear, I appreciate what you done and so I do accept it… Will work on it😊. Exactly my dear. Thanks a bunch Cattie for appreciating what God is doing through me. God has sent you to Inspire me to Pray More. God will surely make a way🙏. I love how you talked an about holding fast into God. Is such an amazing word. “We are being awakened today that in order to take possession of the land or things God is giving to us, we must listen and follow all instructions found in His word. Now this cannot be done without grace, that means surrendering to Him, and letting Him take charge.” Thanks for this line. Much needed by me today!